Philip A. May, PhD, joined the UNC Chapel Hill Nutrition Research Institute in 2011 as a Research Professor. He is an expert in the epidemiology of Fetal Alcohol Spectrum Disorders (FASD). Dr. May has conducted extensive research on the epidemiology and risk factors for FASD, including inventories of the population based on traits of children within all four diagnoses of FASD, maternal and paternal alcohol use and abuse, childbearing variables, and maternal health factors such as socioeconomic status and dietary intake in various populations. He has received funding from the National Institutes of Health (NIH), specifically the National Institute on Alcohol Abuse and Alcoholism (NIAAA), over the past 25 years. Dr. May was formally trained in demography, social epidemiology, and population studies. He focuses much of his research on the epidemiologic discovery of etiology, the diagnosis of the full continuum of FASD, targeted opportunities for community-wide prevention, and programs of intervention. 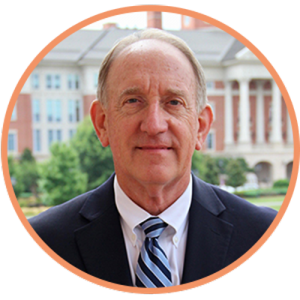 By joining NRI and moving to North Carolina, Dr. May has returned to his roots in the Southeastern United States. He graduated from Catawba College with a Bachelor of Arts in Sociology and received his Masters of Sociology at Wake Forest University. He earned his Doctorate of Sociology with specialties in Demography and Social Epidemiology from the University of Montana. He has since built an esteemed professional career in public health research serving first as a commissioned officer in the U.S. Public Health Service. He came to UNC-NRI after 33 years as a Professor of Sociology and Family and Community Medicine at the University of New Mexico, Albuquerque. Dr. May has recently received a number of awards for his research. In 2012, he received an Excellence Award for “pioneering research and distinguished contributions” from the National Organization on Fetal Alcohol Syndrome. In 2013 he was the recipient of a Starfish Award from the University of British Columbia’s Fifth International Conference on FASD for “having the courage to make a difference” in the lives of people living with FASD. In 2014, the Henry Rosett Award of the FASD Study Group of the Research Society on Alcoholism was presented to Dr. May “in honor of his achievements in research on Fetal Alcohol Spectrum Disorders.” Finally, in 2017 Dr. May delivered (for the second time) the Geoffrey Robinson Memorial Lecture at the International Conference on FASD. Dr. May is appointed in the Department of Nutrition at the UNC-Chapel Hill, Gillings School of Global Public Health. He also maintains roles as an Extraordinary Professor of Obstetrics and Gynecology, Faculty of Health Sciences, The University of Stellenbosch, in Cape Town, South Africa, and as an Adjunct Professor of Pediatrics for the Sanford School of Medicine of the University of South Dakota. Julie earned a BS in Health Science from Truman State University and a Masters in Public Health, with a concentration in Health Education and Health Behavior, from the University of North Carolina at Chapel Hill. As a Certified Health Education Specialist, her prior work focused on tobacco prevention and control. 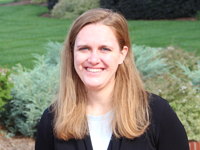 At the NRI, Julie works with Philip May, PhD, on dataset management, quality assurance, data analysis, and manuscript preparation on the epidemiology of FASD in the United States and South Africa. 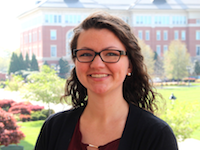 Dixie Hedrick joined the NRI in April 2018 as a research assistant in the May lab. Prior to joining NRI, she worked as a Dietetic Technician for 2 years at Park Ridge Health Hospital in Hendersonville, NC. She earned a BS in Nutrition and Foods, with a focus in Dietetics, from Appalachian State University and a Masters in Public Health, with a concentration in Community Health, from Lenoir-Rhyne University. Dixie is a native of Western North Carolina.